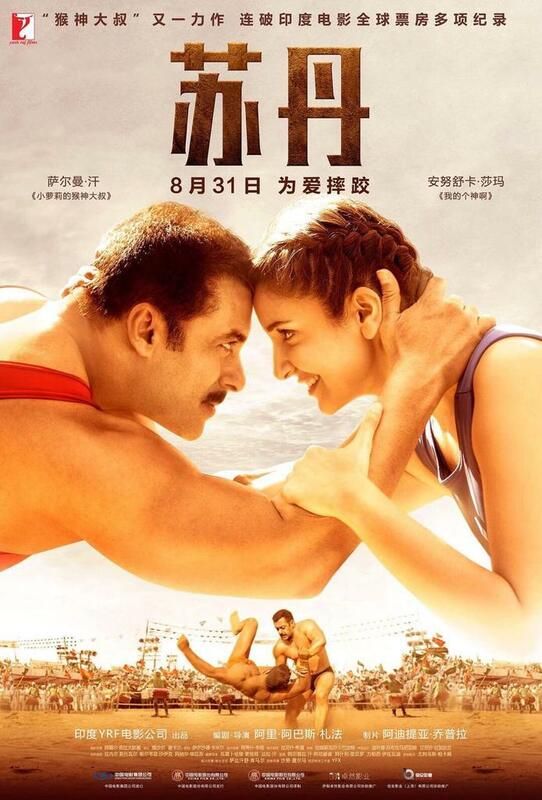 Sultan Set to Release on 31st August in CHINA. Sultan is one of the best rated films of Salman Khan career. Film was a huge success at the time of its release in India. In fact many in trade rated Sultan as Salman Khan's best performance ever alongside Tere Naam and Bajrangi Bhaijaan. Now big good news is that. Sultan is all set to release in CHINA on 31st August, 2018. It will be Salman's second release after Bajrangi Bhaijaan. BB did outstanding business in China and we expect Sultan to go even one notch higher. Dangal, Secret Superstar, Bajrangi Bhaijaan and Hindi Medium have been big hits in China in recent times. We do hope Sultan joins this elite club and make India proud. So, it is rejoice for all as Sultan is set to release in our neighbouring country in exact 30 days. I m sure Chinese people will love this movie. It must get 75000 to one lakh shows as much smaller films like secret superstar got close to 60000 shows and hindi medium 50000 shows. China is a huge landscape and if screens and shows are less, entire regions are missed. Had bajrangi been released on 20000 screens and 50000 plus shows, it would have easily crossed 100 m dollars. May be even secret superstar. But it was released in just 9000 screens with just 2 shows totalling 18000 shows and hence did only 45 million dollars.